Marvel continues to flex the success of their diverse pool of heroes. Along with releasing their blockbuster hit and best picture contender, Black Panther, in AMC theaters for Black History Month, the studio will also publish five digital Black Panther comics for free public consumption. The content of the digital bundle is a direct appeal to the fans of the film franchise. Each of the selections are No.1 issues – allowing newcomers to engage with the intended beginning of each of the featured narratives. 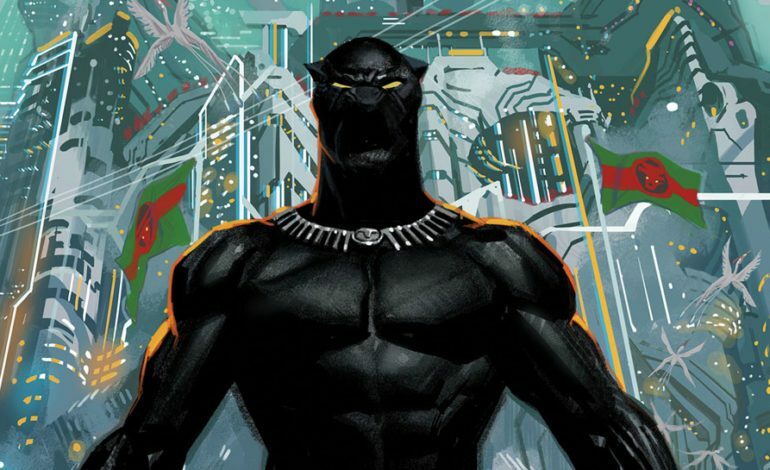 Additionally, included comics like World of Wakanda have been specifically chosen for fans of the film to interact with the established universe featured within Ryan Coogler’s film. The chosen issues include: Black Panther No. 1 (2005) by Reginald Hudlin and John Romita Jr.; Black Panther: World of Wakanda No. 1 (2016) by Ta-Nehisi Coates, Roxane Gay, Yona Harvey, Alitha E. Martinez and Afua Richardson; Marvel’s Black Panther Prelude No. 1 (2017) by Will Corona Pilgrim and Annapaola Martello; Black Panther No. 1 (2018) by Coates and Daniel Acuna; Shuri No. 1 (2018) by Nnedi Okorafor and Leonardo Romero. This digital bundle will be available for download on the Marvel Webstore between Monday, February 5th until Sunday, February 10th. Use the code “FOREVER” to redeem your free comics.